First, we had galaxy hair. After that, we had My Little Pony hair. 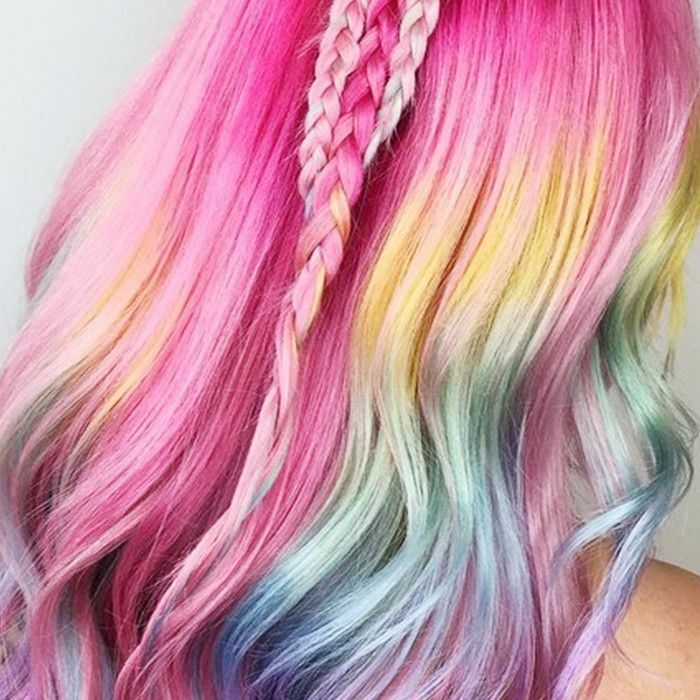 And now, because the internet knows we what we want, "Lisa Frank hair" is the newest trend sweeping the Instagram beauty world. 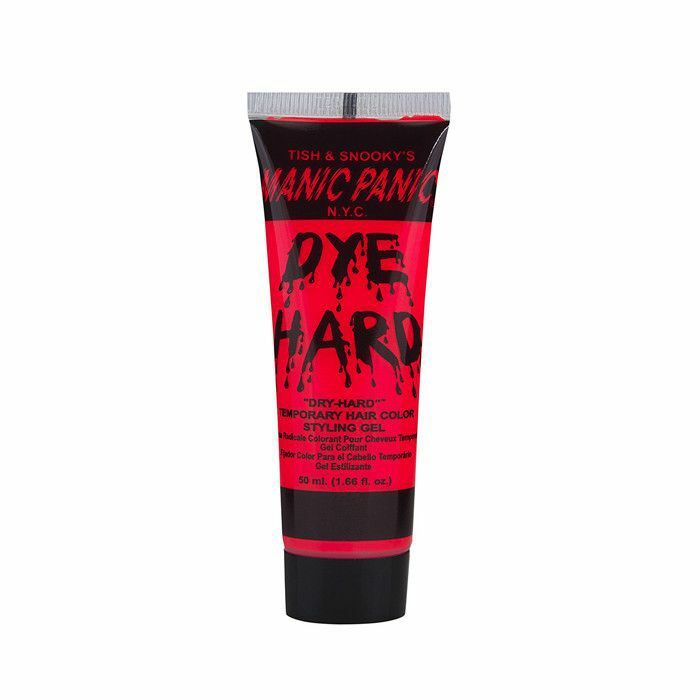 By now, you'd think we would have had our fill of kaleidoscopic hair color fads and '90s revival beauty, but there's something about this nostalgia color that keeps the obsession going strong. After all, Lisa Frank merchandise was like gold to children of the '90s. In first grade, I had a Lisa Frank folder with rainbows and puppies on it, and to this day it's one of the most magical objects I've ever owned. There was something about the vibrant neon palette and idyllic scenes depicted that evoked a sense of hope and wonder in us '90s kids—even those of us who otherwise thought of ourselves as too tough for bright pink dolphins and unicorns. So it makes sense that Instagram has fallen in love with Lisa Frank hair, which was pioneered by stylist and colorist Caitlin Ford. The St. Louis–based color guru was inspired by '90s nostalgia and the vibrant palette of Lisa Frank to craft the new look. "What child of the '90s can forget the iconic colors of Lisa Frank?" she told Allure in a recent report. "As a hairstylist, it seems natural to want to translate that into hair." Keep scrolling to learn more about the Lisa Frank hair trend (and how to re-create it yourself)! Ford's take on Lisa Frank's color wheel is a bit more subdued than the blinding brights we remember from our backpacks and trapper keepers. (After all, we are adults now.) Ford says the softer colors not only look great but serve a purpose: They are easier to remove once clients decide they want to move on from Lisa Frank hair. "I love working with softer color palettes because it means I can use the gentlest measures to remove these colors should my clients change their minds later," she said. As for the process of turning into living Lisa Frank merch: It isn't exactly simple. First, you need to start with light hair, so if you're not already blonde, Ford says to prepare for an intensive lightening process in the salon. 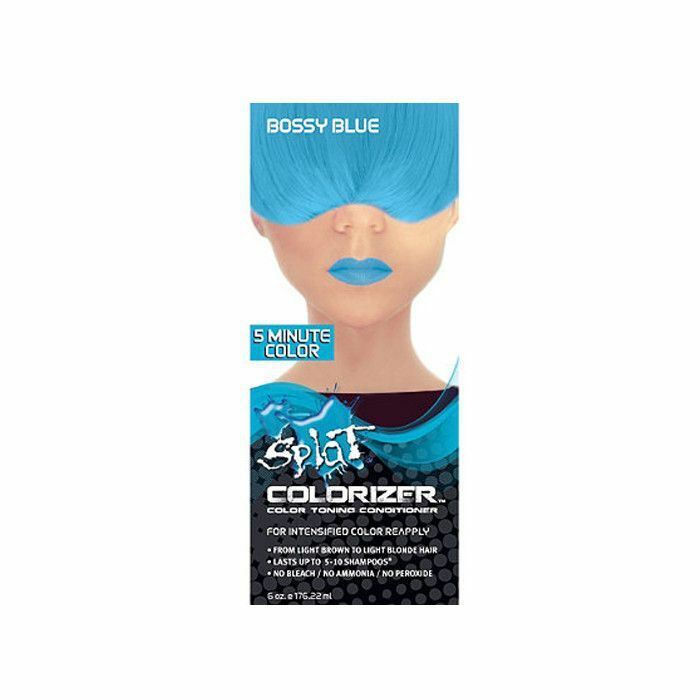 Next, check out the $9 hair dye that lets you color brunette hair without any bleach!